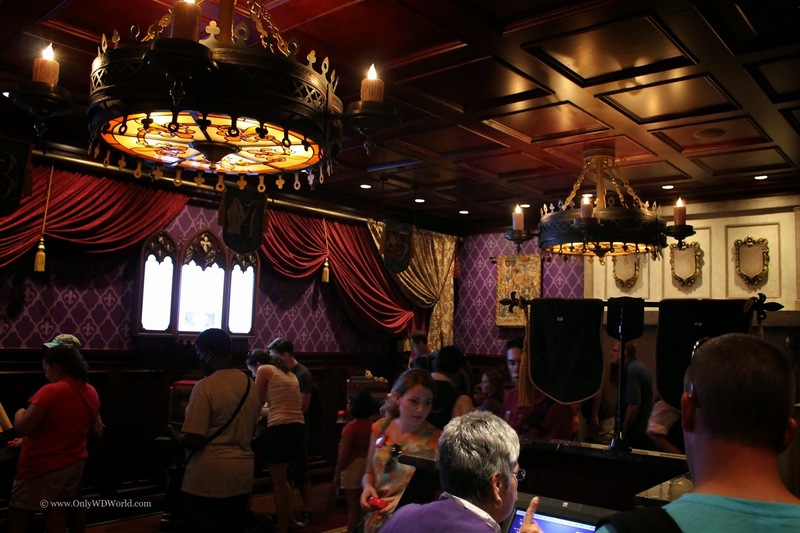 With the expansion to Fantasyland, the Magic Kingdom has created a restaurant that should be on everyone's list to visit during their next Walt Disney World Resort Vacation. 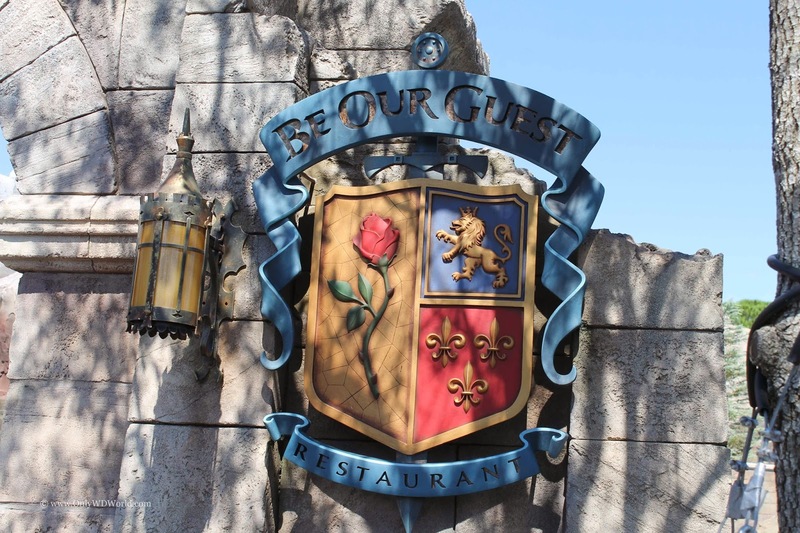 The aptly named Be Our Guest Restaurant is themed after the classic Disney movie Beauty & The Beast and is situated in Beast's Castle. 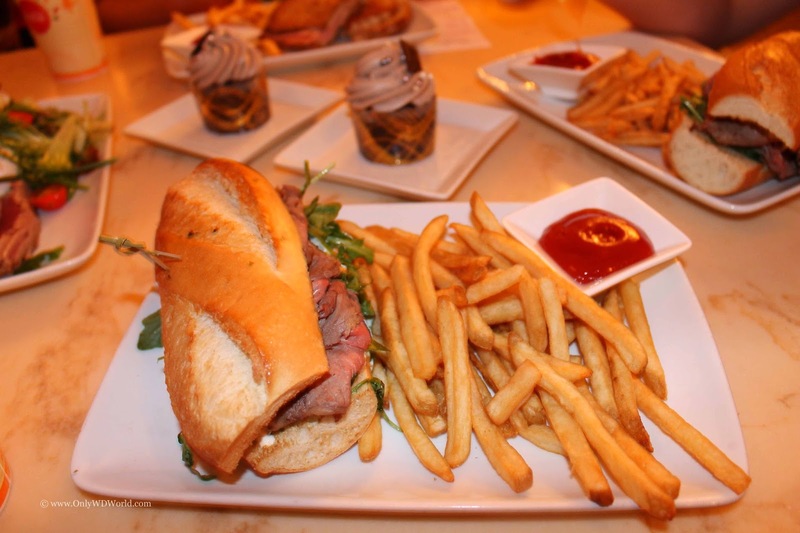 Disney World Dining At Its Best! 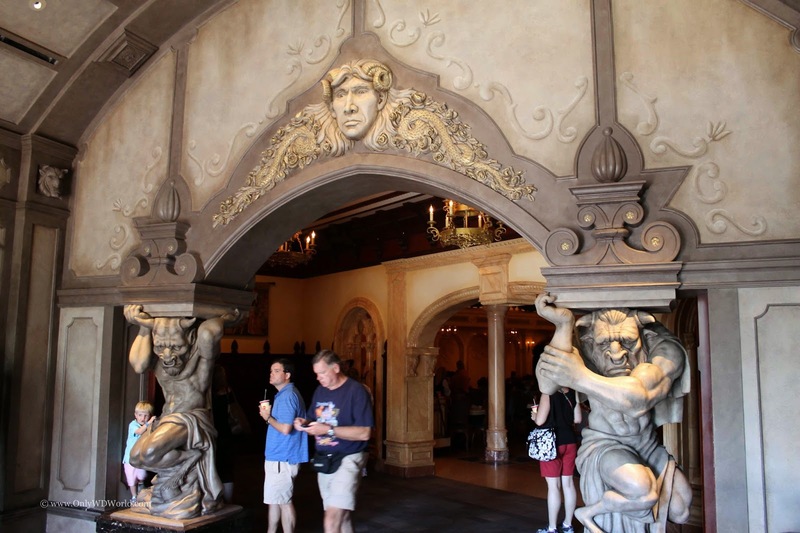 Besides the stunning decor and theming that takes this restaurant beyond the ordinary, it is also noteworthy for being a Disney World Quick Service Restaurant by day and a Table Service Restaurant at night. This is what you look for during your Disney vacation, a unique dining experience that you will remember long after the vacation is over. The details are amazing! 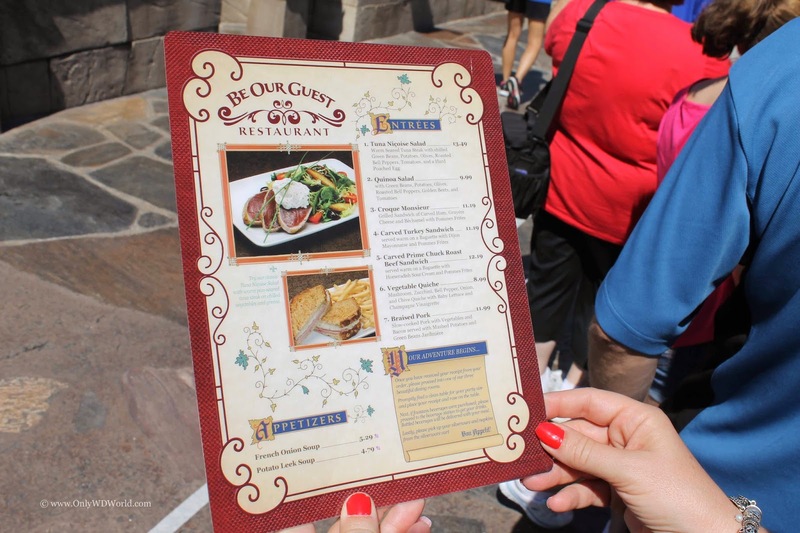 Do not be put off by having to stand in long lines waiting to eat lunch at Be Our Guest Restaurant. 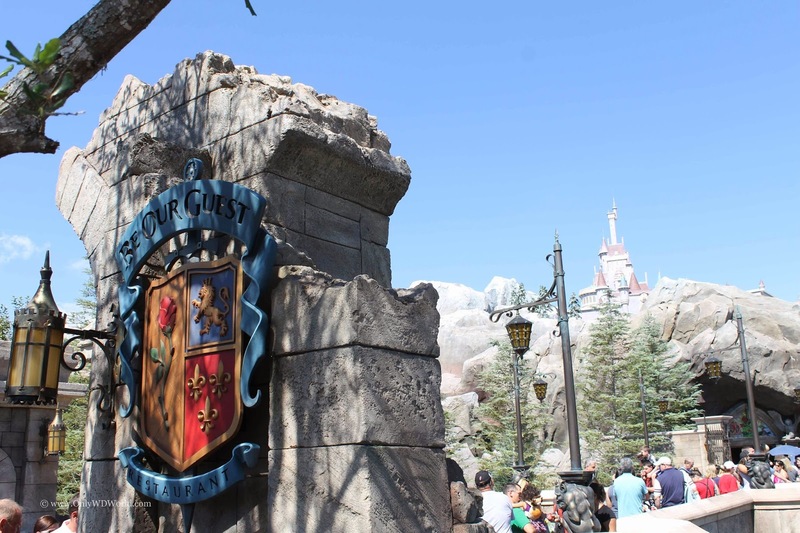 Treat it like any other Disney World Attraction (which it definitely is!) and you will be reward by a fairly quick moving line. Reservations for Dinner can be hard to come by and expect to have to reserve near the 180 day reservation window to get in. For most we would just recommend visiting at lunch for a truly wonderful dining experience. Once inside it is hard to take in all of the amazing decor and details. 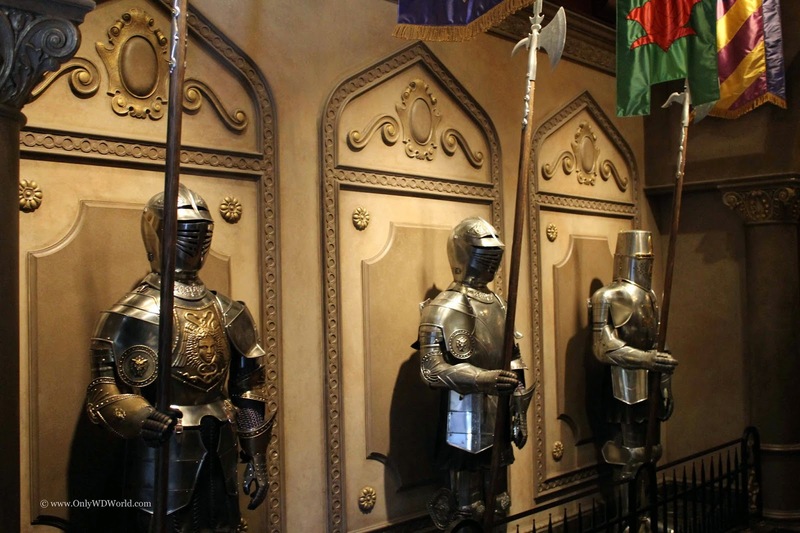 From carved gargoyles to the suits of armor, you know that you are in for a treat when you finally get to the dining rooms. The lunchtime ordering process is much different that other Quick Service Restaurants. 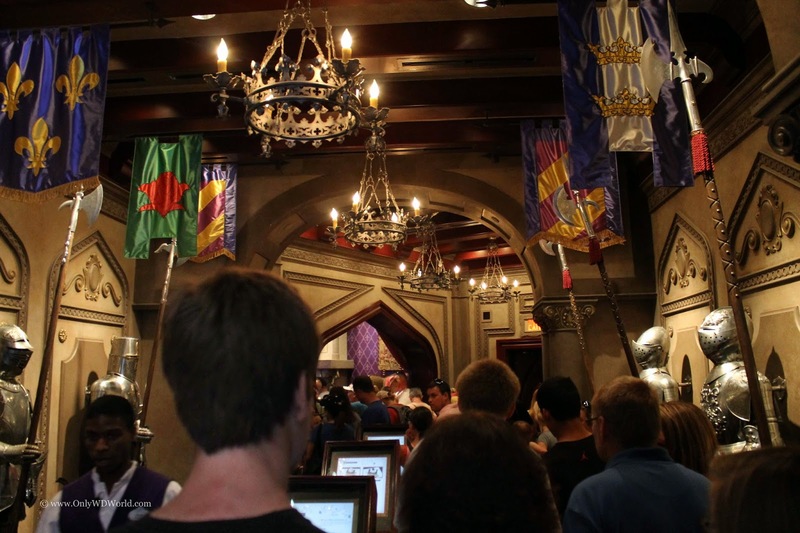 You are either guided to a computer kiosk or a register staffed by a Disney Cast Member. Prior to ordering your party either registers one of their MagicBands or you are given a special "rose". Since the food preparation takes place in another part of the building, after you order to go to find a table and the servers use the RFID technology to find you and bring your food to you. 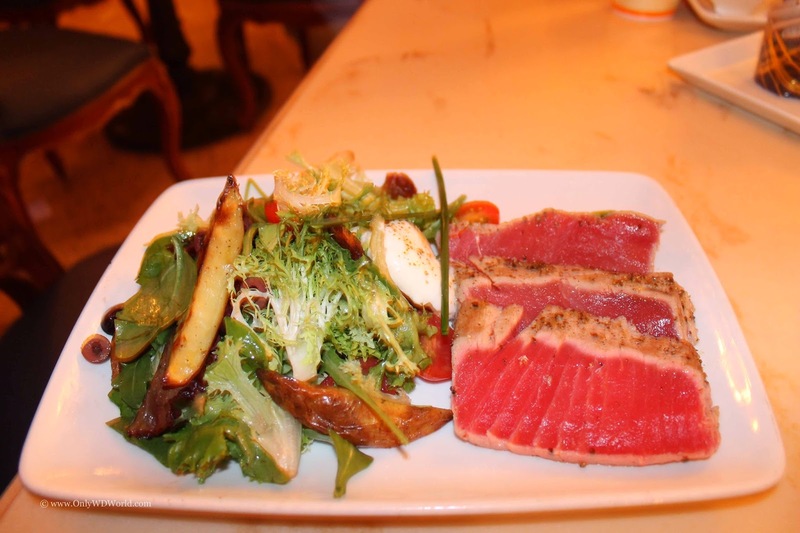 The menu features sandwiches and salads with a French influence on the cuisine. 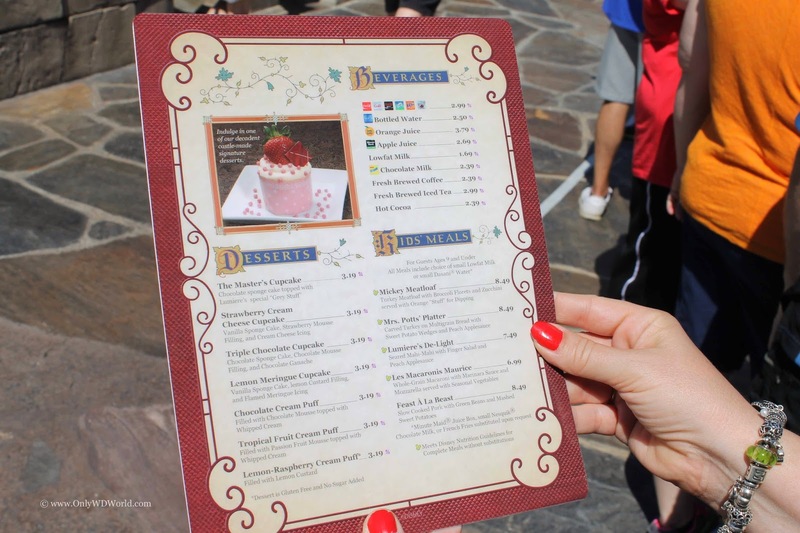 The regular and kid's menus (shown above) feature adult entrees priced between $8.99 - $13.49. 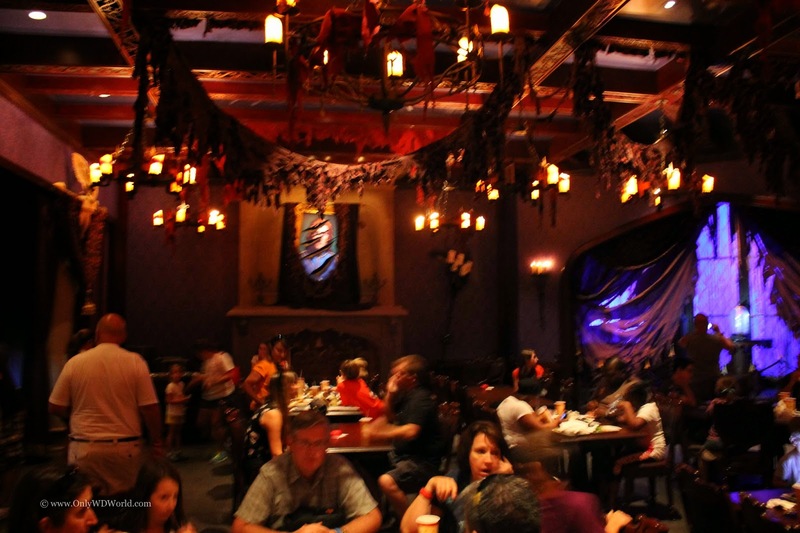 There are 3 different dining rooms to choose from and they all are themed differently and have unique decor to enjoy. Choosing where to sit is a harder decision than choosing what to eat. 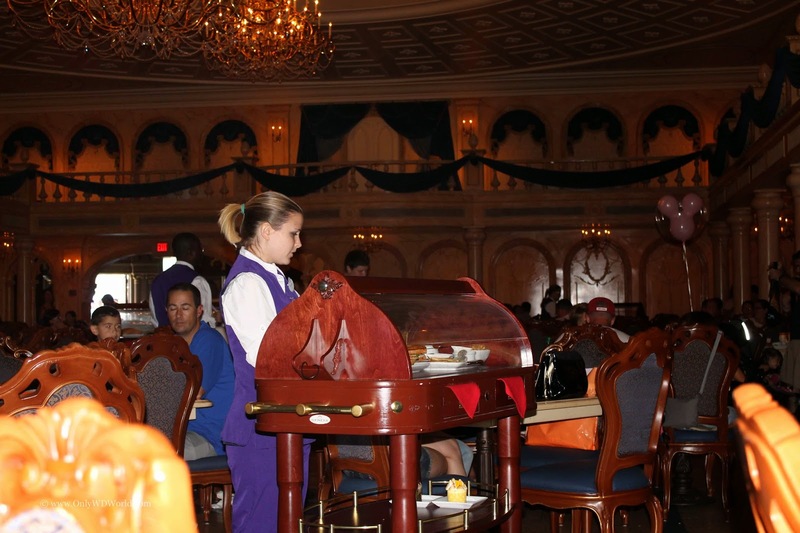 When your food is ready it is brought to you in special carts by the staff. We tried 3 of the entrees during a recent visit: The Tuna Nicoise Salad - warm seared tuna steak with chilled green beans, potatoes, olives, roasted bell peppers, tomatoes, and hard poached egg, Carved Prime Chuck Roast Beef Sandwich - served warm on a baguette with horseradish sour cream and Pommes Frites, & Croque Monsieur - Grilled sandwich of carved ham, Gruyere cheese, and bechamel with Pommes Frites. 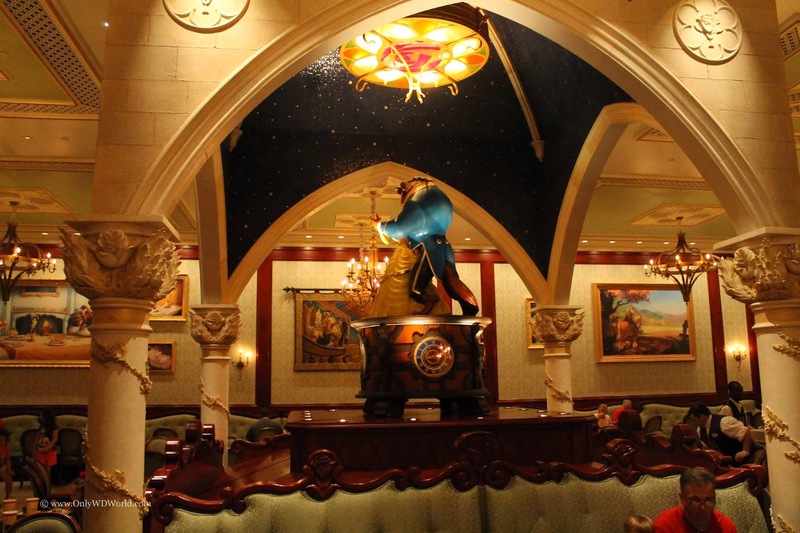 Be Our Guest Restaurant Is A Must Visit! 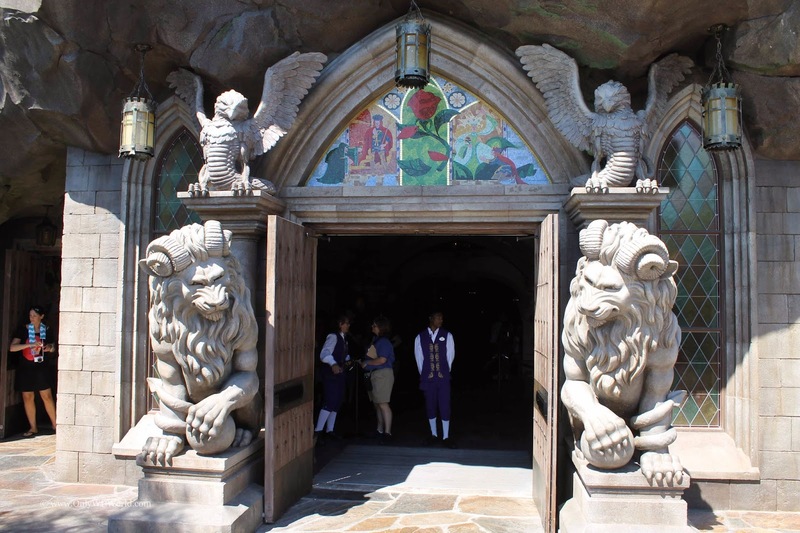 We would highly recommend this outstanding Disney World Quick Service Restaurant. We have yet to try the Table Service version, but will be posting a review after we have had that opportunity. 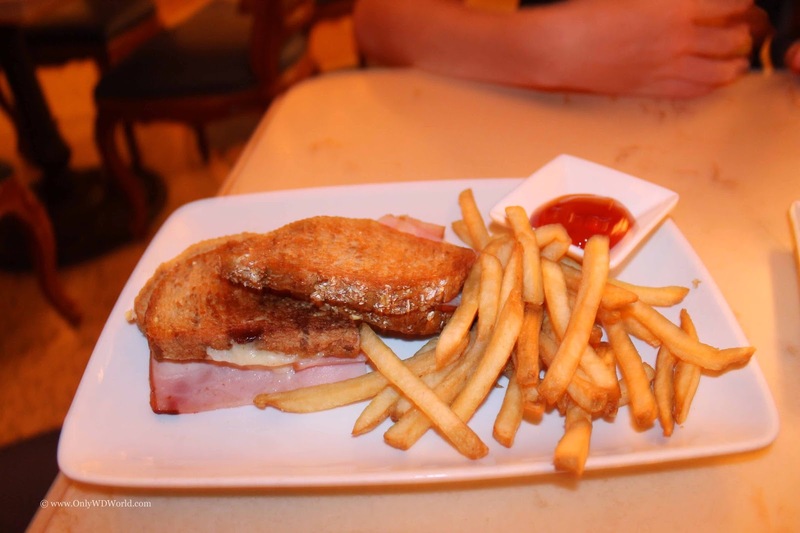 The spectacular theming combined with very good food and excellent service make this one of if not the best Disney World Quick Service Restaurant and a Must Visit for any Disney World fan. 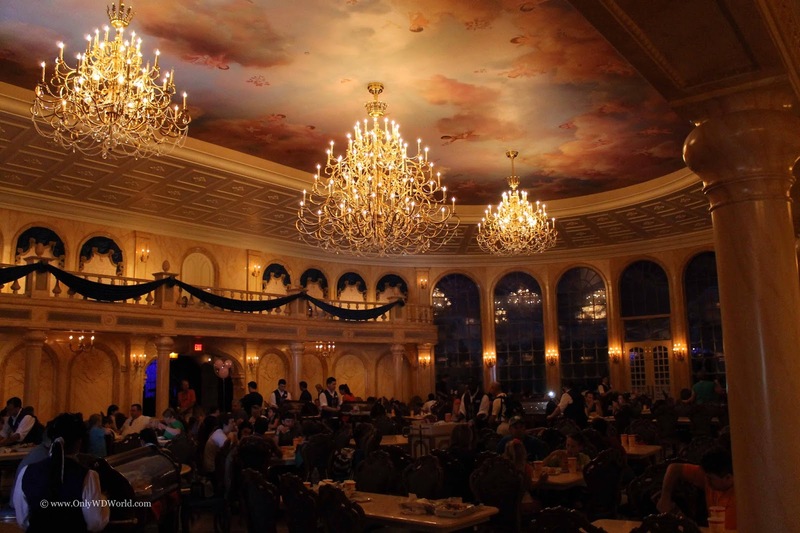 0 comments to "Disney World Dining: Be Our Guest Restaurant"